We teach 4-minute microhabits that build the happiest & highest-performing workplaces on the planet. Our 30-day online training program that uses happiness science & habit crowdsourcing to turn bad stress (prey stress) to good stress (predatory stress) in 4 minutes a day. Our 30-day online training program about how to optimize common conversations we have as leaders and teams, inspiring happiness and high-performance in 4 minutes a day. Welcome to Happy at Workouts! We’re like an online gym for your team’s happiness muscles! In 4 minutes a day, our online programs teach busy teams science-based microhabits that speedily build happy & high-performance workplace cultures. I’M THE CHIEF HAPPINESS OFFICER. Every aspect of business is influenced by how teams manage instinctive stress. Strong corporate happiness muscles turn this automatic stress into a catalyst for high-performance. While many wellness initiatives focus on changing the external environment, our program focuses on the internal process necessary to cultivate happiness at work. 👋 BYE-BYE Burnout! 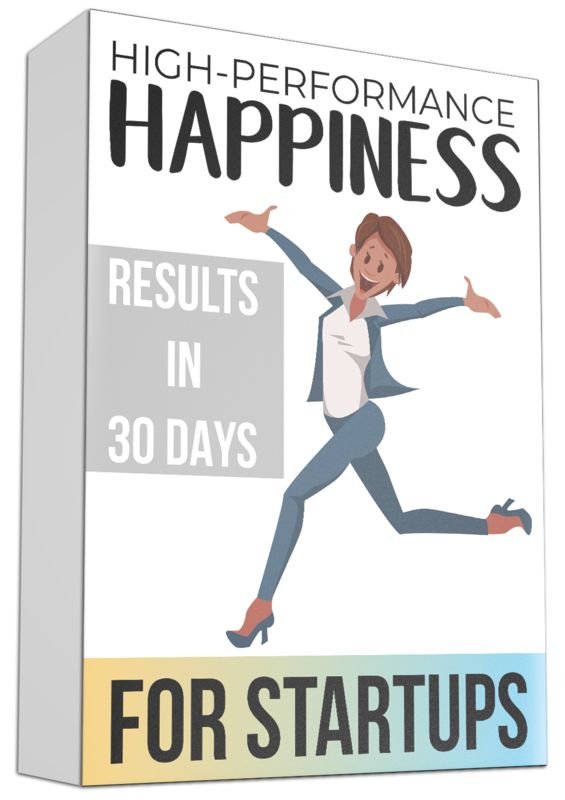 FREE eBook with 7 days of happiness hacks. Happiness is a muscle and we never learned how to work it out. Enter your email to receive science-based happiness tips that supercharge your work day. To get you started, I’ll send you my free eBook: Monday Funday! A chief happiness officer and a doctor, with 30+ years of experience, combine forces to create the ultimate online wellness program. The result: highly-actionable takeaways with immediate results that help the busiest teams stress less, unleashing superpowers at work. According to science, happiness can be learned and is the physical state that primes the brain for high-performance and counterbalances stress. Quote from "The Happiness Dividend"